Trust the Heat Demon to offer the best practical advice for your new installation from burner/boiler performance to location. We commission new boilers in either new-build properties and also replacement of old systems when repair has become un-economical. This service can include the installation of programmers and motorised valves to existing and new systems. 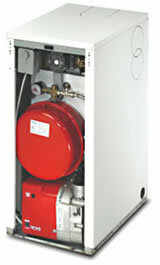 Boilers range from floor standing to wall-mounted, internal and external to suit your requirements.